Weight gain causes fat to accumulate mainly in four regions of the body- abdominal, back, thigh and hips. The specific part of a body where fat accumulates and the amount of fat accumulating in a particular area is primarily controlled by genetic factors but is also significantly influenced by the quality of lifestyle of a person. In men, accumulation of fat in abdominal and upper back regions is widespread and ends up giving a very saggy and deformed appearance. Moreover, the health risks associated with upper body fat accumulation such as cardiovascular diseases and diabetes are life-threatening. Thus, it is essential to take a step towards your betterment as soon as possible and get on the right path from the start to avoid any complications later in life. In this article, we will be focusing primarily on back fat for men. Eating foods having a higher fat and carbohydrate content and a lower protein content is the culprit for back fat gain. Such foods include junk food, chocolates, refined sugars and bakery products. Having an improper exercise routine which focuses more on muscles in the front of the body and neglects muscles in the back of the body is to blame for back fat gain. It leads to overtrained front muscles and untrained back muscles. As a result, the back is not sculpted leading to a saggy torso. When muscles in the back are not toned, the fat percentage increases as compared to the muscle mass. It causes more and more fat to accumulate over time which becomes saggy and loose by staying there for a long time. If you ‘re sitting for most of the day, this proves that you are living a sedentary lifestyle. And if you do not exercise at all, your body will reduce metabolism and gradually accumulate weight. Yes, stress can cause back fat. The truth is stress hormones slow down your body ‘s ability to burn fat. 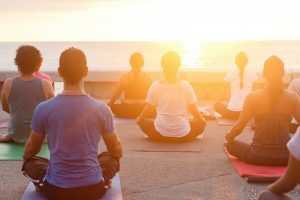 So, your mental health is just as important as your physical, and it ‘s crucial to find the best way to release your stress. 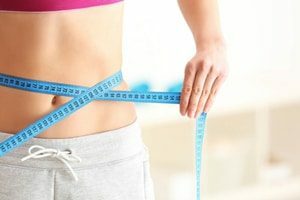 How to Banish Back Fat? 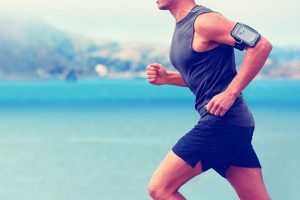 People usually don’t understand whether they should do a vigorous full-body workout or those that target specific regions of the body. Beginners also get confused that whether they should go for cardio to lose weight or for strength training to build muscle mass. A simple answer to all these confusions is that you should combine all of these. Circuit training serves to be the best form of a combination of cardio and strength training. Circuit training involves 2-3 minute intervals of cardio followed by intervals of strength movements. 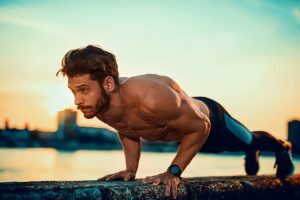 This kind of workout program delivers the best results because it makes you lose fat to get lean and build muscle to get big at the same time. In order to further intensify the effect of your workout plan, you need to work out for 3-4 days a week with each workout being of at least 30-40 minutes. Moreover, you need to have a higher rep range for your workouts. A higher rep range is a must-have for losing weight in the back because it causes hypertrophy in the back muscles. This hypertrophy increases the volume of the muscles in the back which is number one requirement for muscle mass gain and fat loss. Apart from this, workout beginners are also usually confused considering how much weight should they lift while starting out. The decision is wholly based on trial and error. You need to test the potential of your muscles to lift weight and start out with the weight that strains your muscles only a little. It is best to start out with 5- pound plates on each side of the bar. As your muscles get used to training, you can gradually add more 5-pound weights to each side of the bar one by one. Planks are the ideal choice if you want to work your core and increase your stamina. In this move, your body has to rest with a straight back on arms and legs. It requires no equipment and less room. This workout helps to strengthen your core muscles and provide stability and strength to your back muscles and prepares them for other strength training moves. It activated muscles of the back. Planks should be done for 1-2 minutes each day. It is a full body workout engaging and activating muscles from your abdomen, arms, back and legs at the same time. Push-ups help in stretching out the back muscles and put them in the right posture. Start with a lower rep range for push-ups and gradually increase it to a higher rep range. Yoga moves help to condition muscles of the back and strengthens them. They do not build muscle mass but increases the stamina of back muscles and make them stronger, thus helping to maintain an upright and firm posture. Side crunches directly target muscles in the upper portion and sides of the back and helps to tone the muscles, increase muscle mass and lose fat. Side crunches should be a part of the workout plan for an effective back fat banishing regime. Bent over dumbbell rows specifically engage and activate muscles in the upper portion of back increasing their volume by causing hypertrophy, toning them and banishing the fat present there.. The muscles ‘Latissimus dorsi’ are known as lats in ordinary language. These muscles are located on the dorsal (back) and lateral (side) part of the human body. These are important muscles of the back and have to be trained if you intend on sculpting your back and banishing that back fat. Exercises that target lats and help to tone them are pull-ups, bent over dumbbell rows and close grip chins. You need to watch the number of calories from carbohydrates, fats, and proteins in your daily diet. A simple way to make these measurements of portion size is by using your hand. The percentage of carbohydrates you need equals the size of your fist; the amount of protein equals the size of your palm, and the proportion of vegetables equal the size of your whole hand. Keeping a clean diet is essential to lose weight and have a healthy lifestyle. 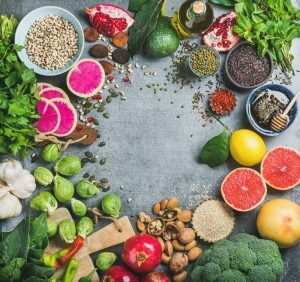 The best foods to consume are foods high in protein content such as lean meats and foods having a very high fiber and water content such as fruits, vegetables, whole grains, legumes, and pulses. 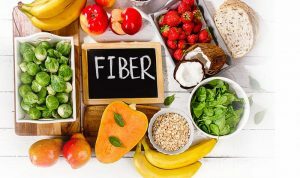 Stocking up on fiber for weight loss is very important because it decreases your appetite by giving you a feeling of being full, adds bulk to stool and detoxifies the body. 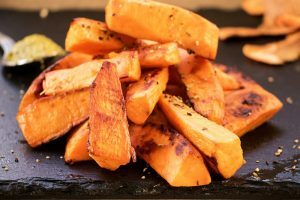 Snacking on a sweet potato is an excellent option because of its low-calorie density and high fiber and water content. 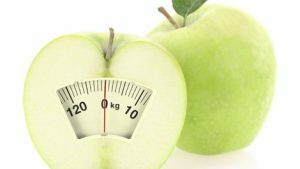 Having such a clean diet with a lot of fruits, vegetables, and other fresh foods helps to keep your system clean by scavenging the toxic substances which hinder weight loss. 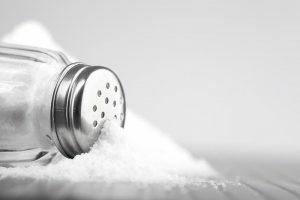 Salt that we consume in our food consists of sodium which causes water retention in the body. The result is bloating of the body and in the long term causes great stress to the heart. Moreover, it increases the activity in the fat cells and makes them more prominent. Hence, ditching salt is quite necessary to lose weight. 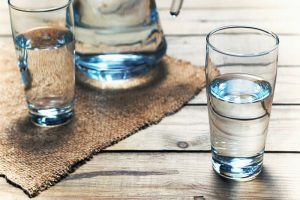 In addition to solid weight, we also have water weight residing inside our body. This water weight is because of retention of water in our body due to insufficient water consumption and a lot of salt intake. Thus, drinking 2-3 liters of water/day and limiting salt intake is essential when it comes to losing weight. Having an overall healthy routine such as a healthy sleep cycle also adds to weight loss. An irregular sleep cycle decreases your metabolic rate. After just a few days of having disrupted sleep cycle the body’s ability to use insulin properly in reduced by 30 percent. Thus, not sleeping properly doesn’t seem like a lot but it does affect your metabolism and in return affects your weight loss. 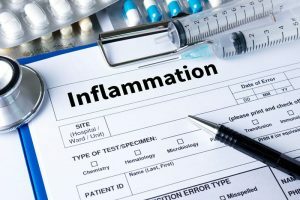 Inflammation can disrupt your hunger cycles, metabolism and also cause water retention in the body. It is critical to beat inflammation while you are on your weight loss journey. Foods that are high in protein and fiber help you beat inflammation. Apart from this fruits like berries also assist in lowering the inflammation of the body. In addition to the above workouts we recommended, you should also do some back exercises that specifically for your back, such as deadlifts, rows, pull-ups, pull-downs, and chin-ups, etc., to defeat the back fat ultimately. Meanwhile, you can take some carbohydrates, proteins and amino acids as supplements to help you reduce the muscle aches and restore energy after intense exercises. Do you drink 3-5 glasses every day? 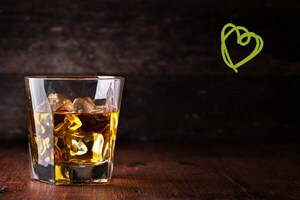 Alcohol is empty calories that slow down your metabolism and increase your calorie intake. We suggest that you should try diet soda instead of alcoholic beverages. Remember, moderation is key. 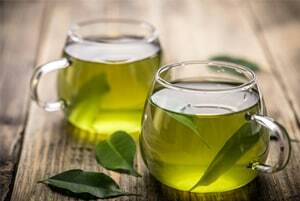 Green tea contains antioxidants called catechins, which increase metabolism and burn more calories by improving fat oxidation and calorie expenditure. Back fat hanging from the top and side regions of the back is an indication of an unhealthy diet, improper exercise routine and more percentage of fat as compared to muscle mass in the back. It is necessary to start combating your back fat before it is too late. It is because the longer the fat stays there, the harder it is to get rid of it because it gets resistant to fat loss as it ages. 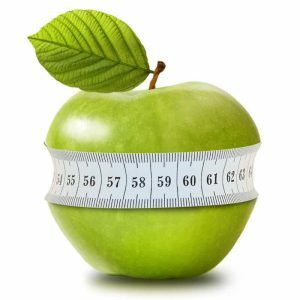 It is the body’s natural mechanism to maintain its current weight and show resistance to any process employed to make it lose weight. Hence, a lot of effort needs to be put in to banish that back fat. It involves saying yes to a diet high in protein, fibers, and nutrients and having an exercise routine including cardio and other strength training moves such as bent over dumbbell rolls and side crunches that directly target muscles in the upper and side portions of the back. It is also essential to have a high rep range of workouts for more effective results. Apart from this, if you want to banish that fat and stay fit & healthy throughout your life, in addition to exercising and having a proper diet, improving your sleep cycle, staying hydrated and cutting off on your daily salt intake is also very essential.